My son cooked this delicious soup for us during our recent holiday and I told myself that I must replicate this when I'm home. 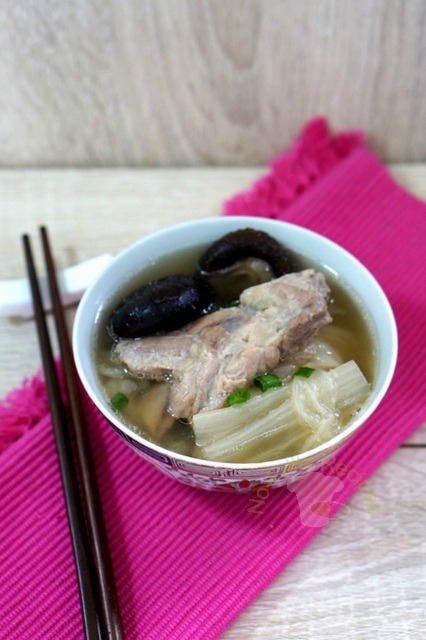 I substituted the ingredients and made this refreshing soup with only three key ingredients, which are Shitake mushrooms, pork ribs, nappa cabbage and of course, water. 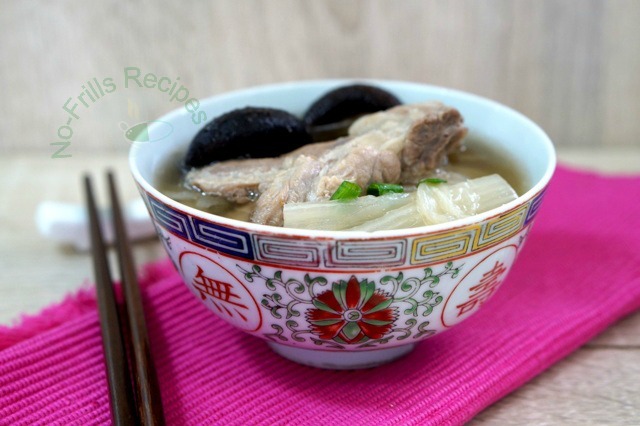 Wash and blanch the ribs in a pot of boiling water. Drain, rinse, set aside. 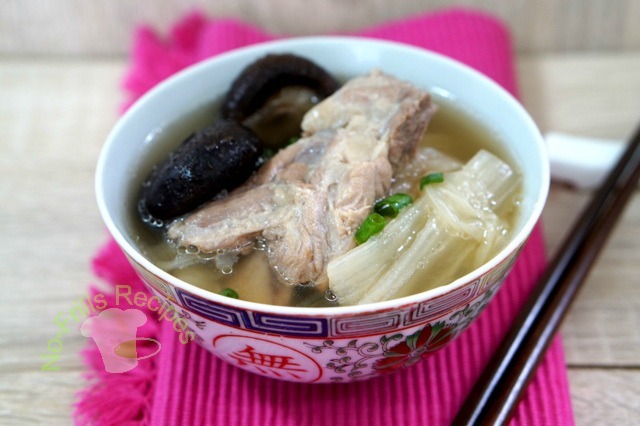 Boil the 2.1/2 lt water, once boiling, add the Shitake mushrooms followed by the blanched ribs. Cover, and reduce heat to simmer for 1/2 an hour, add in the cabbage and cook for another 2 hrs on low heat. Add salt to taste. 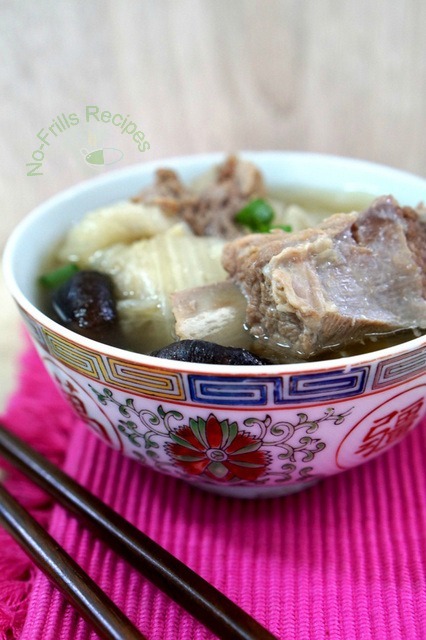 My mom usually make this soup with radish...a nice change with napa cabbage.